Leonard Laskow, M.D. : Holoenergetics and Self Awakening - Certified Facilitators Canada - LEONARD LASKOW M.D. has been a holistic therapist since 1987. 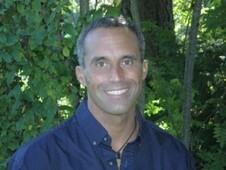 He is a Certified Holoenergetic® Facilitator and Instructor, and a Certified PSYCH-K® Instructor. In the late 80′s Darryl was a Sports Therapist for the Philadelphia Flyer hockey team. He has taught workshops at the Agape International Spiritual Centre in Southern California and has twice lectured at the International Conference of Science and Consciousness in Santa Fe New Mexico. Darryl conducts seminars on healing and personal growth throughout Canada and the US. is a Certified Mind/Body Therapist and Instructor with over 10 years experience in the holistic health field. She has taught workshops in Canada, the United States and France. Angela now offers one-on-one Mind/Body sessions at tranquil Hope Bay on Pender Island, British Columbia, Canada. Her practice includes Holoenergetic® Healing. Please contact her through her website.